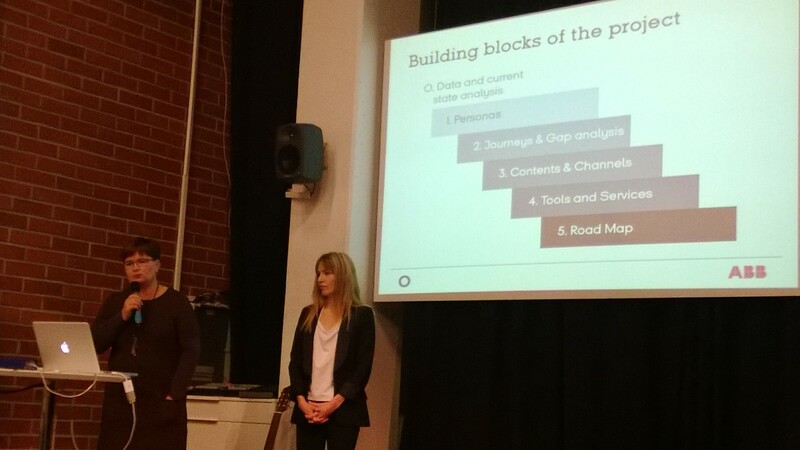 In the Service Design Breakfast event at Startup Sauna on November 13th, Laura Invenius from ABB Drivers and Lotta Buss rom N2 Nolla have presented the case of strategy creation using the service design as a tool. ABB Drivers, who produce devices that are used for speed control of electrical motors, needed to develop a new strategy in order to create better customer experiences in digital touch points. N2 Nolla was chosen because of their service design approach in strategy creation. Believing that co-creation is the most powerful way to build internal commitment, they started with putting together right team for the job. From ABB, team joined people from sales, product management, and marketing coms. From N2 Nolla came service designers, market researcher and digital strategist. Strategy development process started with creation of clear brief. Next phase was about obtaining insights, both internal and external. Regarding external stakeholders, early decision was made to focus on customers, while investors and those looking for jobs were left aside. Internal insights were obtained from the factory tour and discussions with sales and product management. External insights were collected from 8 countries in discussions with end-customers, partners and OEMs. Additionally, they have collected business and project goals, brand guidelines, and a lot of background information like: competitor analysis and benchmarking, customer research, NPS, and market outlook. Co-creation workshops were the most important events. First one was dedicated to current state analysis; second one was two days co-creation workshop with country organizations, and the last one with the core team was done to finalize the work. 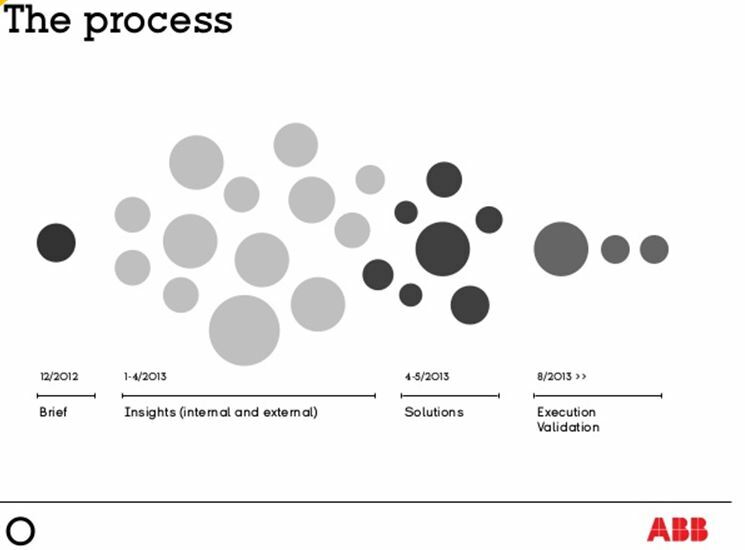 Buyer’s journeys and gap analysis used to identify problems and challenges in interactions.